Home Uncategorized About Global Test Market How much do you know? About Global Test Market How much do you know? Global Test Market is a fairly established online market research panel. They have participants from nearly 200 countries contributing opinions in return for cash rewards. Over the years they have maintained a solid reputation and have an impressive, 5 million plus, membership. Similar to other survey companies Global Test Market will send survey invitations to your email box. This is why it’s important to use a valid email address when you register with them. 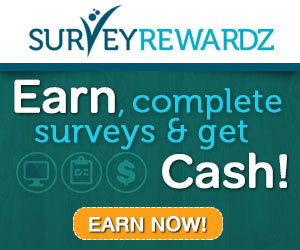 Upon completion of a survey you’ll be rewarded with market points which can later be redeemed for cash. At the current exchange rate 1,000 points will earn you fifty US dollars which is also the minimum cash out level. 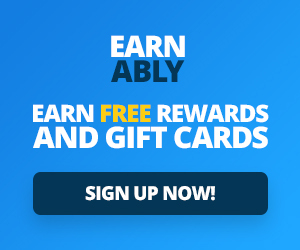 The good thing about Global Test Market is that they reward loyalty and the more surveys you complete the more points per survey you will get. The company pays out by checks in US dollars, this can be a slight inconvenience for non US residents, but nothing too serious. After reaching the appropriate level and requesting payment it can take up to two months to receive your check. How much does Global Test Market pay for surveys? The amount you can earn per survey varies depending on the urgency of the survey and it’s length. There is no set amount per survey. Does Global Test Market pay in cash? Global Test Market pays you in something called “Market Points” which can be redeemed for cash. How many Market Points do you need to redeem for cash? You need at least 1000 Market Points to get cash. And 1000 Market Points is the equivalent of $50. So in short, you cannot get paid by Global Test Market unless you’ve done at least $50 worth of surveys for them. Is Global Test Market open worldwide? They are! This is one of the best things about them. They are currently open to 49 countries throughout the world, including US, Canada, UK, India, Australia, Pakistan, China, Philippines, and many more. The FAQ has a list of all the eligible countries. After you apply, you’ll be asked to fill out some profile surveys that probably don’t get you more than just a sweepstakes entry. It’s up to you if you want to do these or not. The company says it helps you qualify into more surveys that are suited for your demographic, but sometimes I skip this step and still get plenty of survey invitations. I like that Global Test Market is open to so many different countries, but I don’t like that you have to have accumulated $50 to cash out. I think that’s a little high. Also, I hate that your points can expire in a year with no activity. You can register by going here. Remember, you can cash out and request your check as soon as you have accumulated $50.